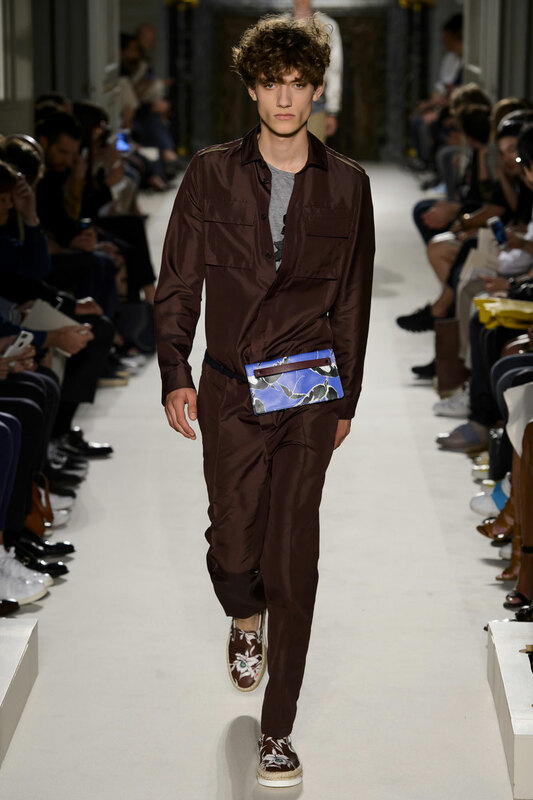 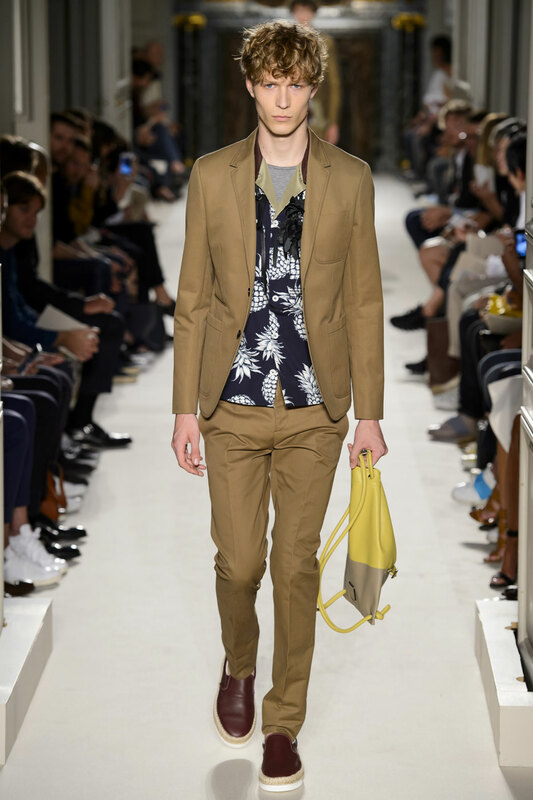 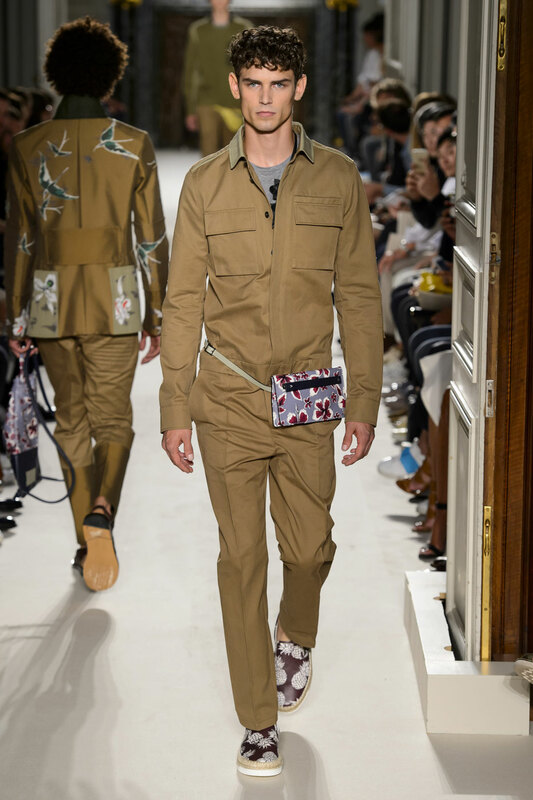 This collection consisted of an array of busy prints; Hawaiian, camouflage and Aztec, however due to the earthy colours used throughout the show none are outlandish or garish. 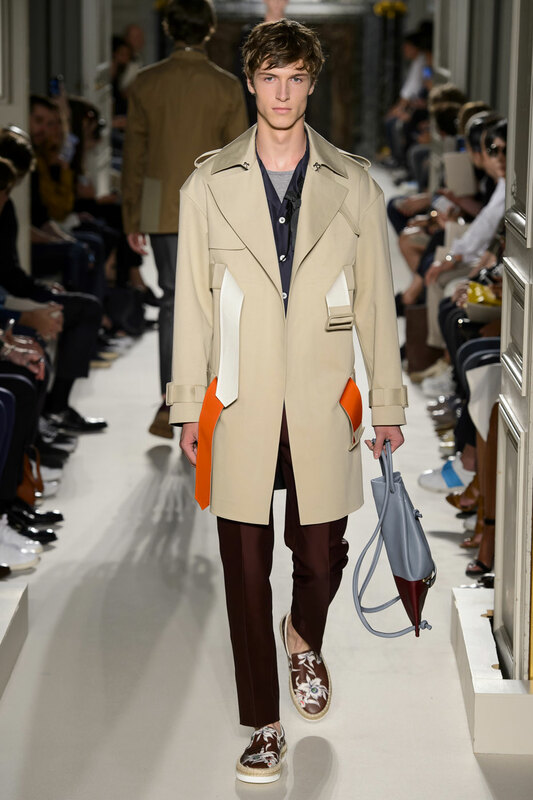 The collection consists of an assortment of camel, kaki and burgundy to name a few of the colours provided. 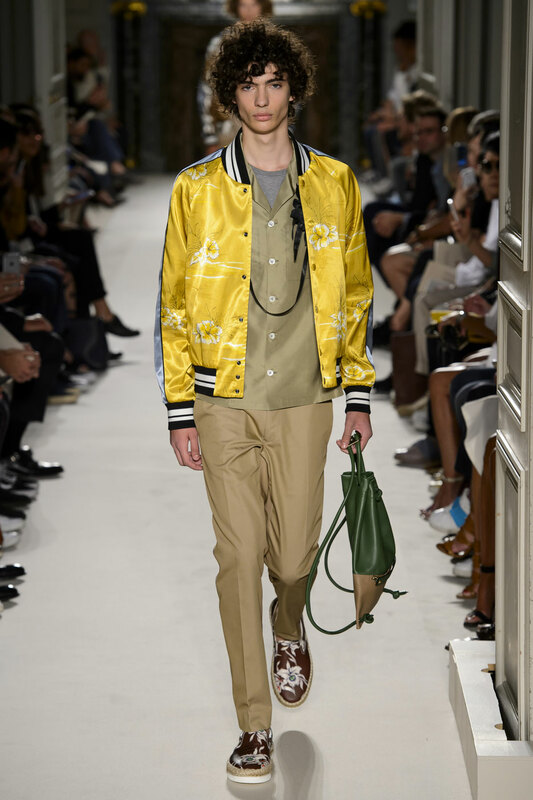 The references to summer come from the use of mustard yellow and burnt orange. 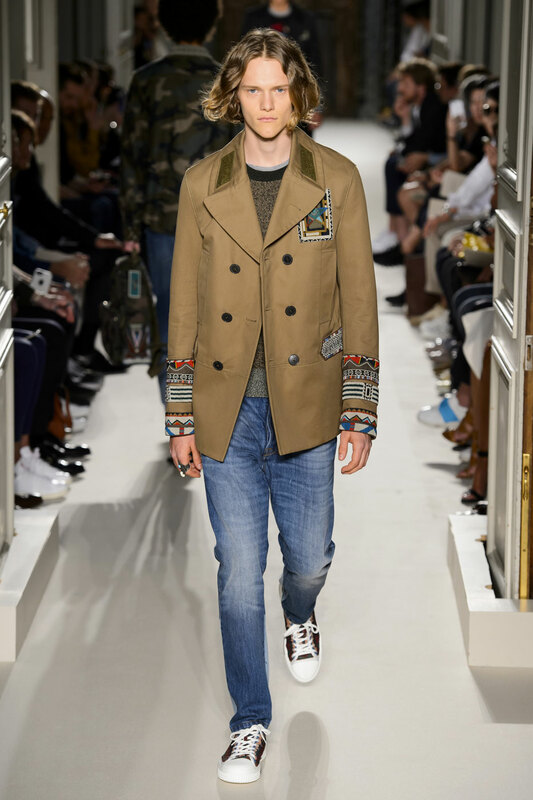 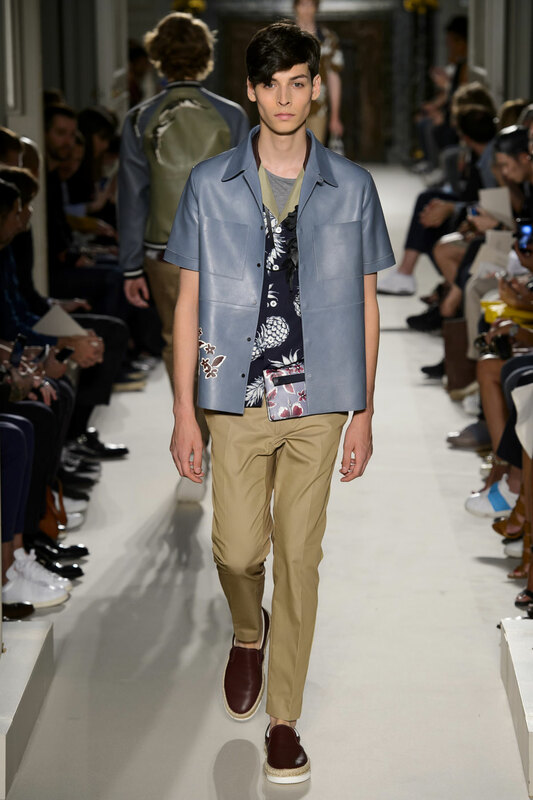 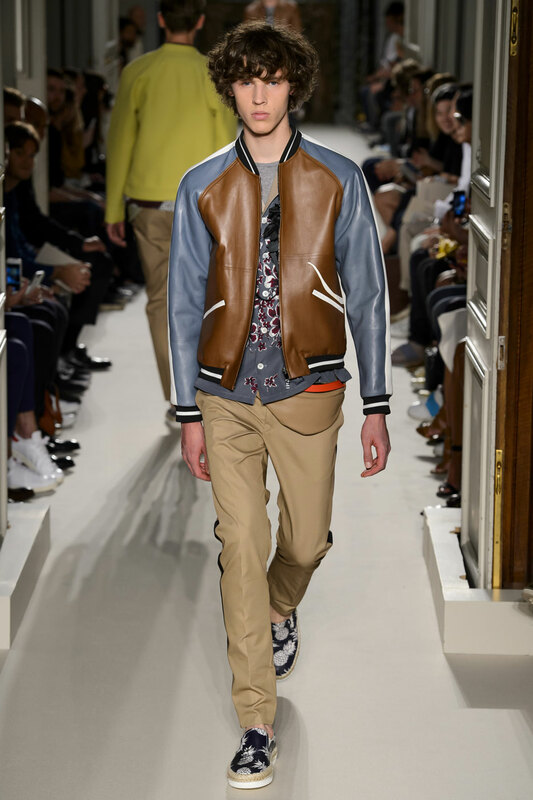 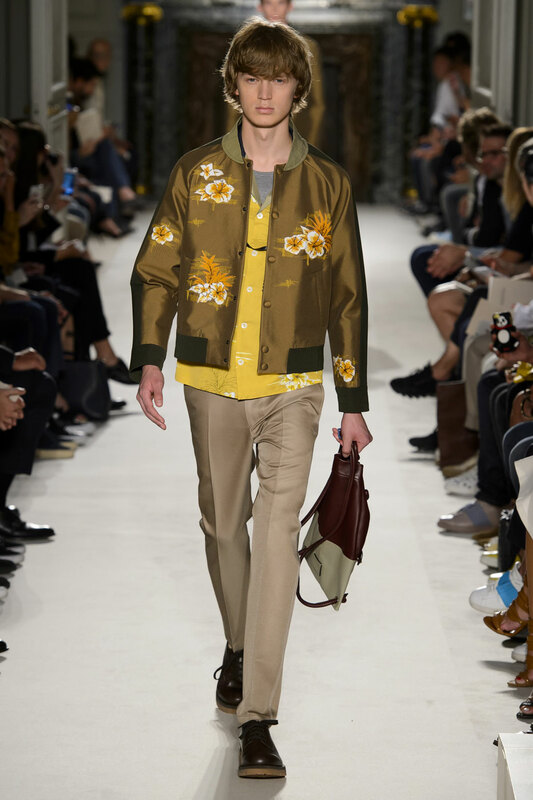 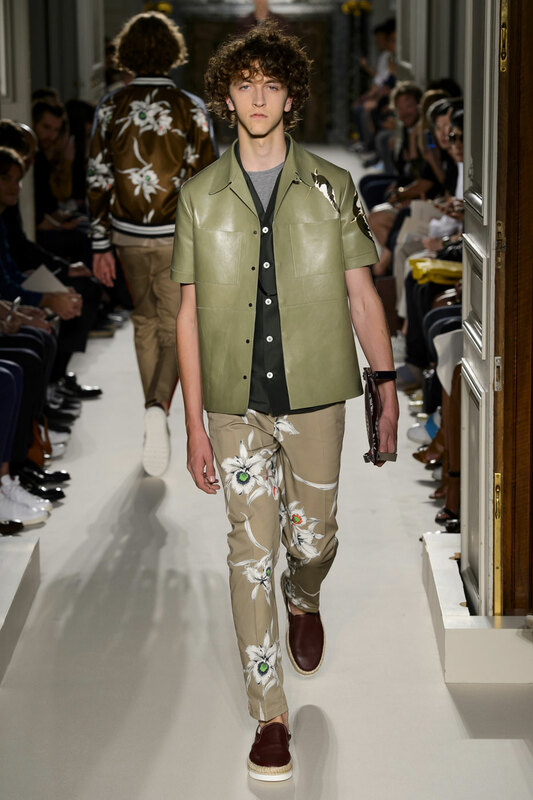 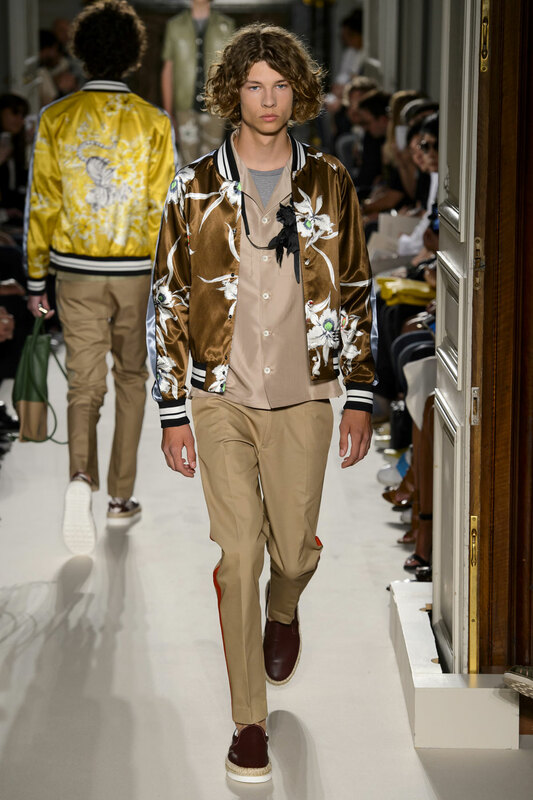 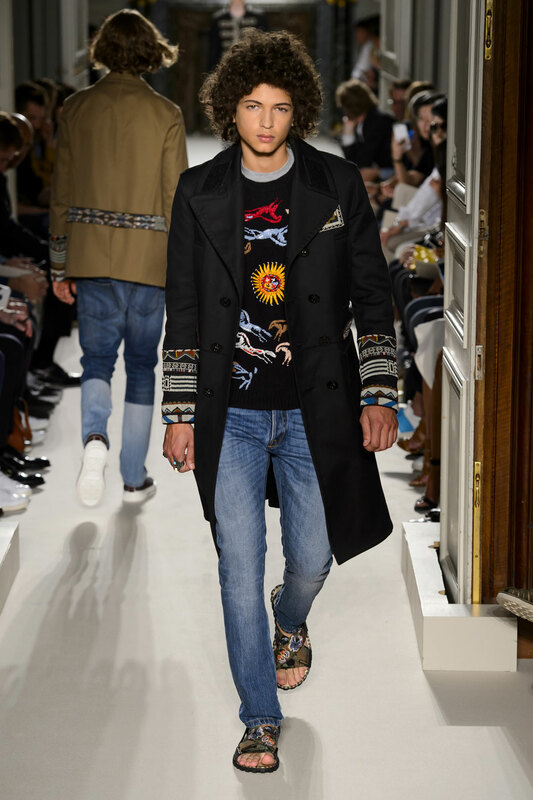 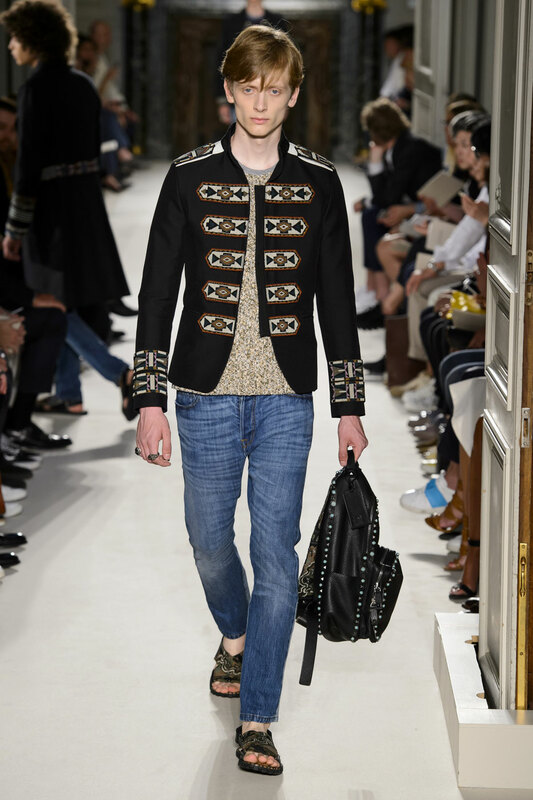 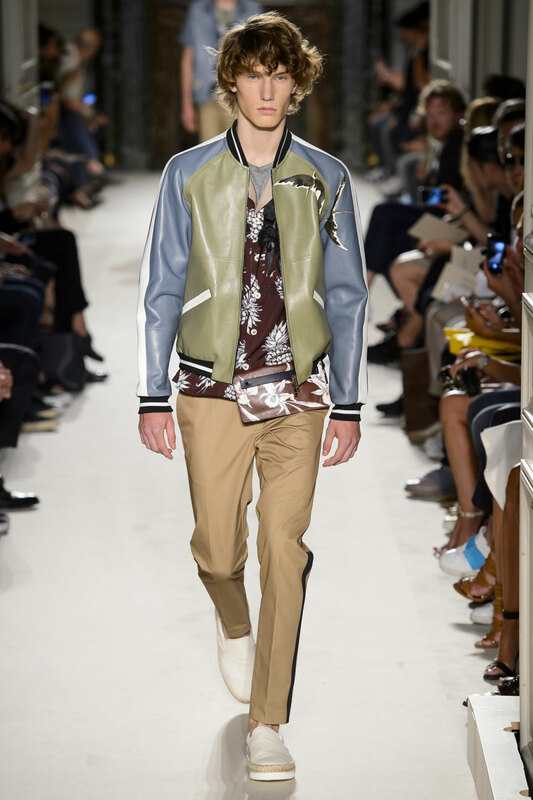 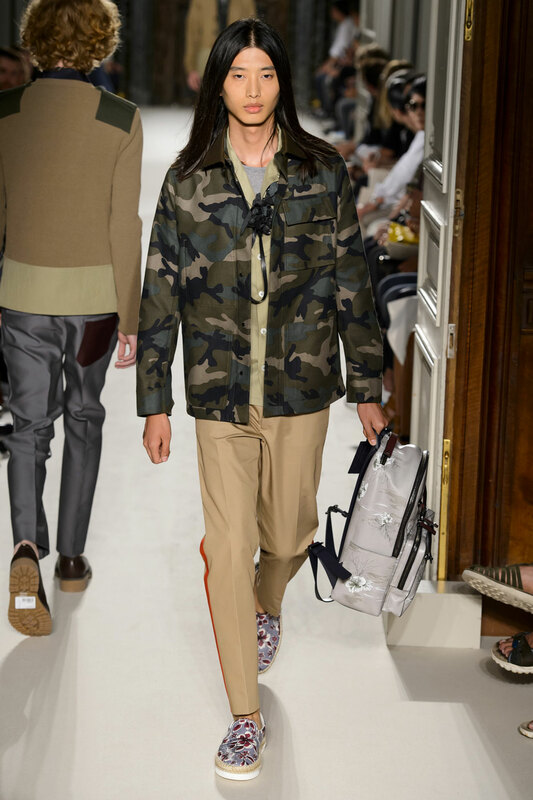 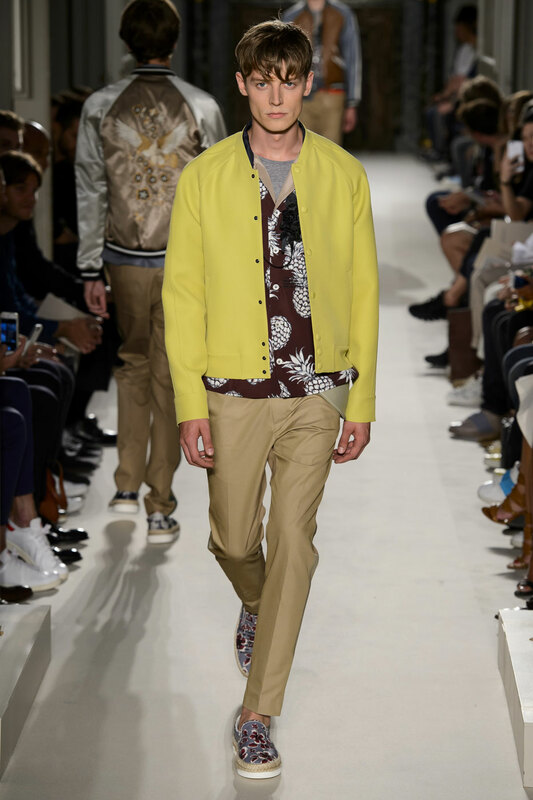 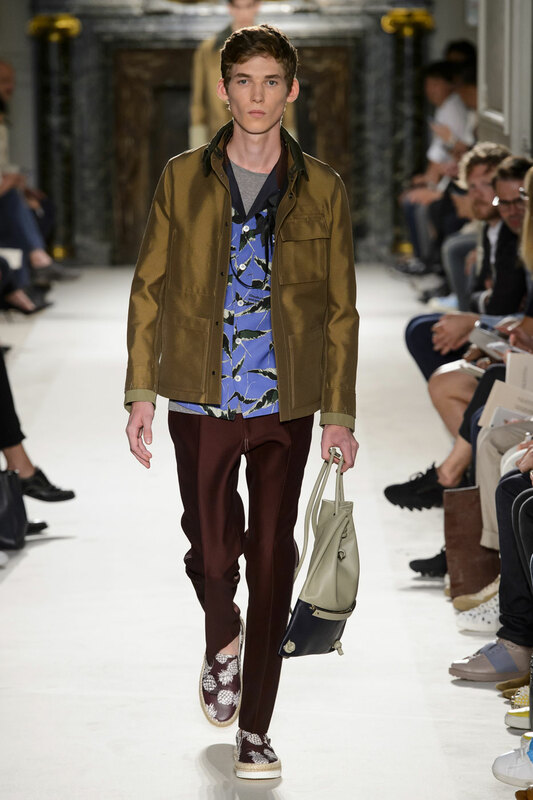 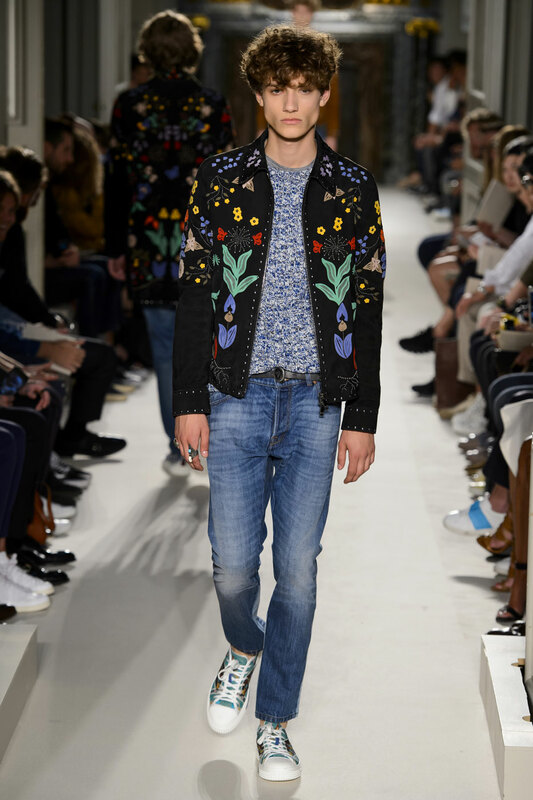 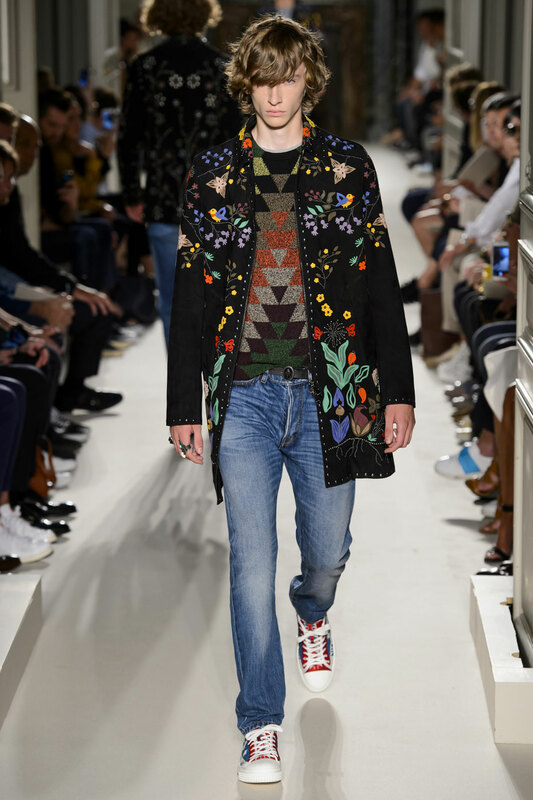 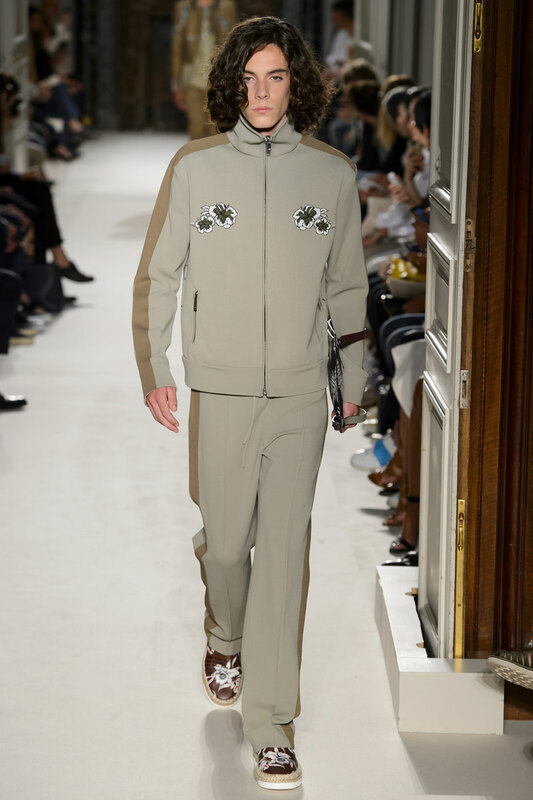 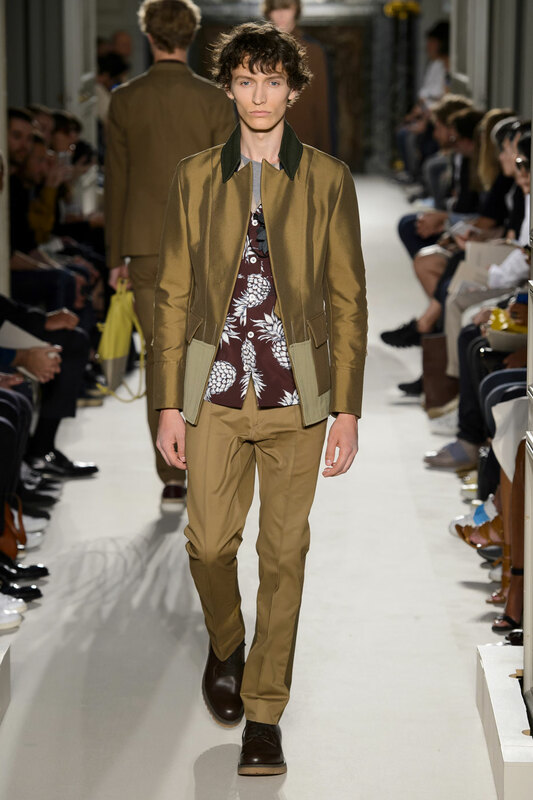 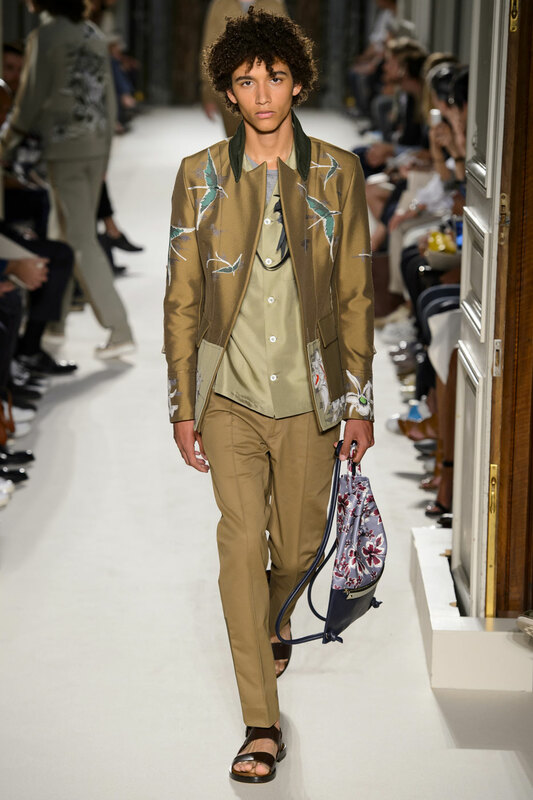 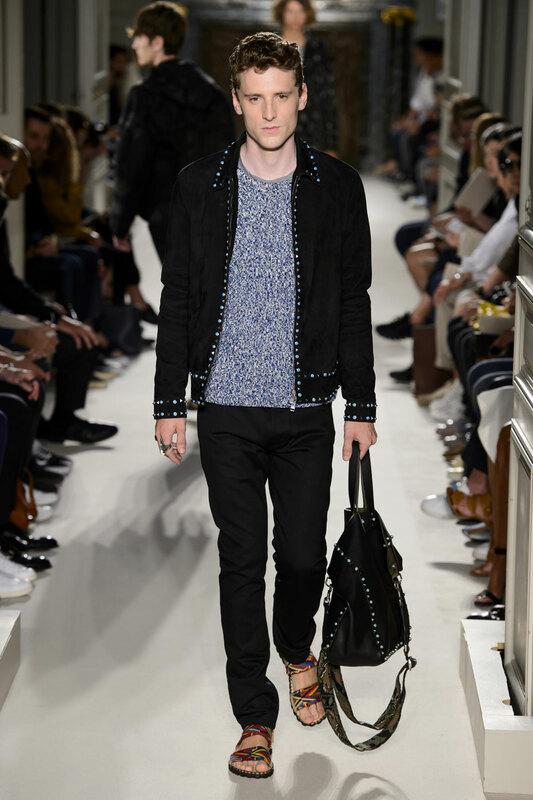 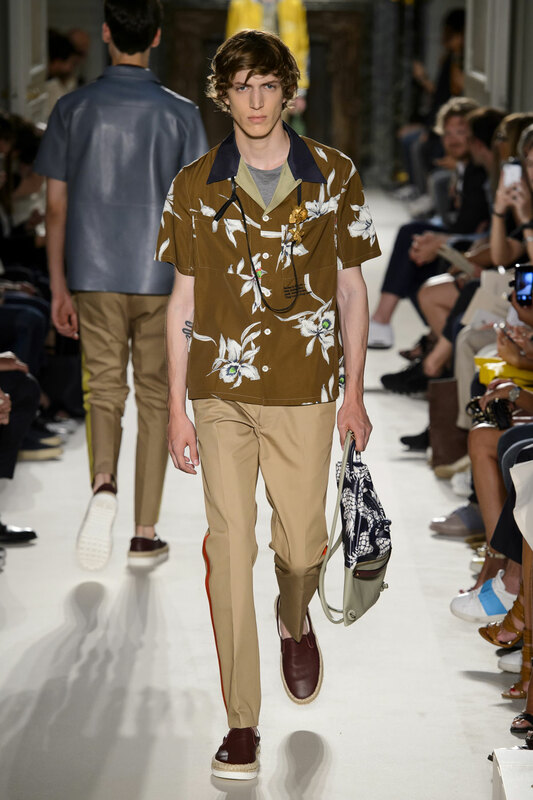 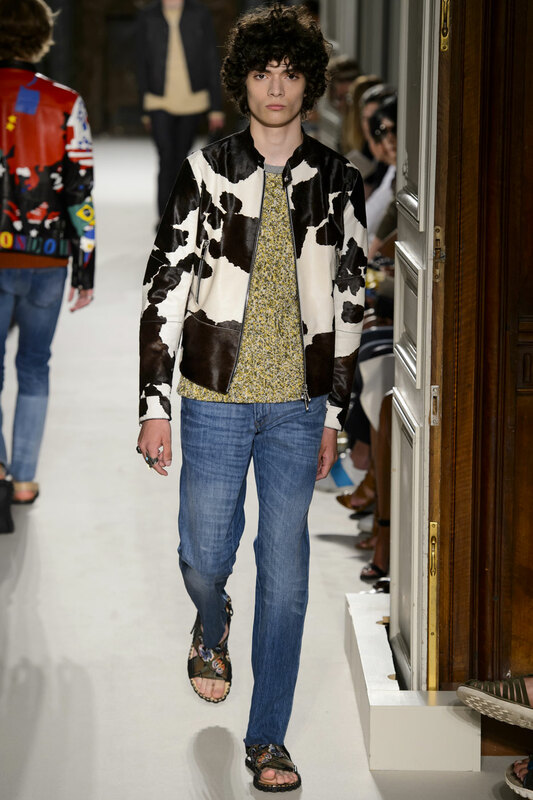 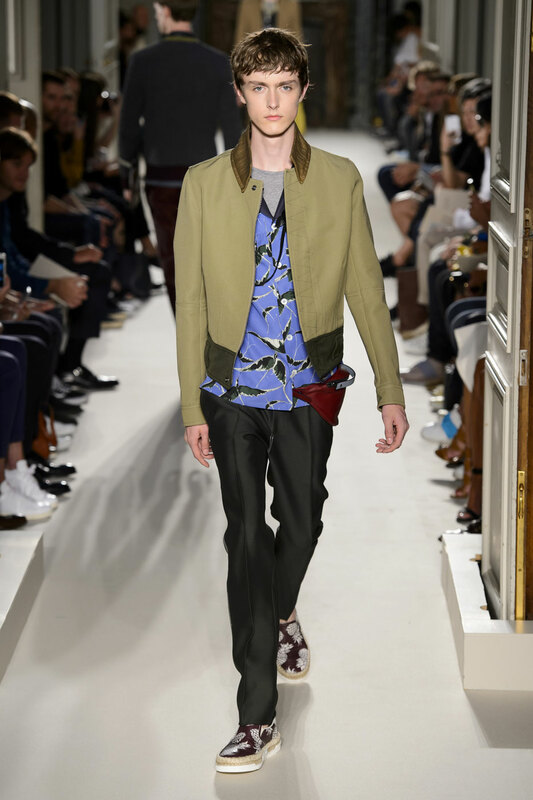 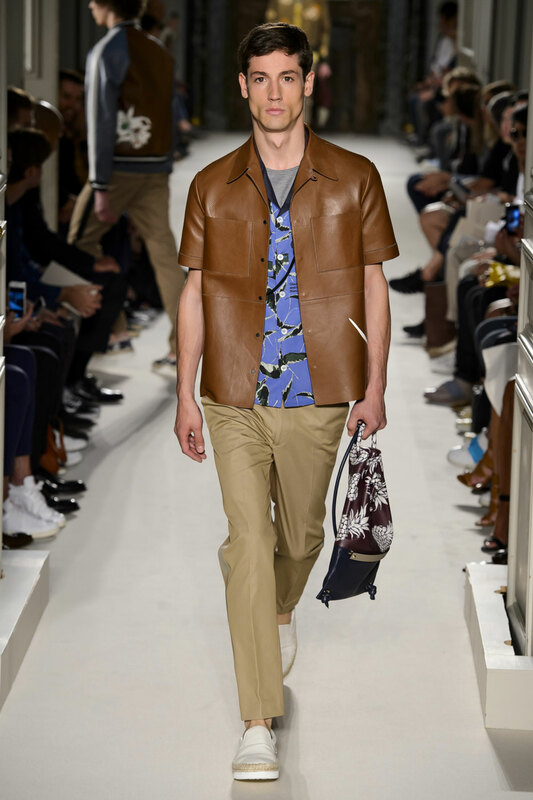 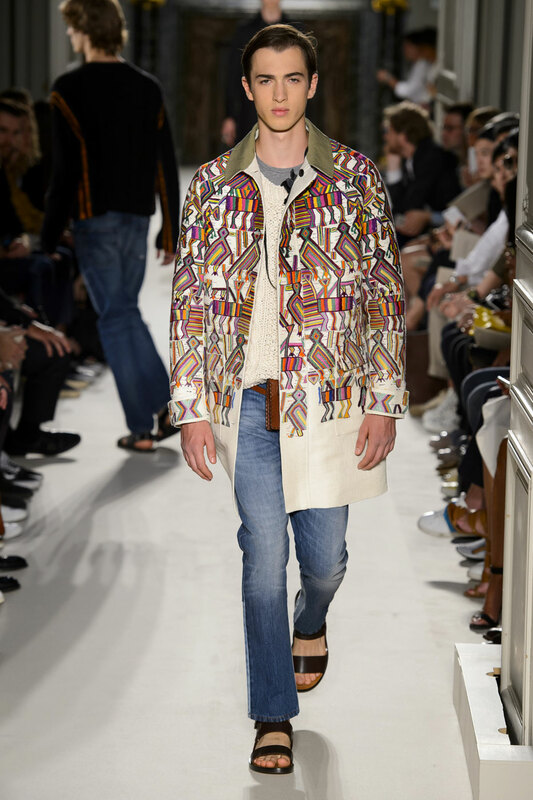 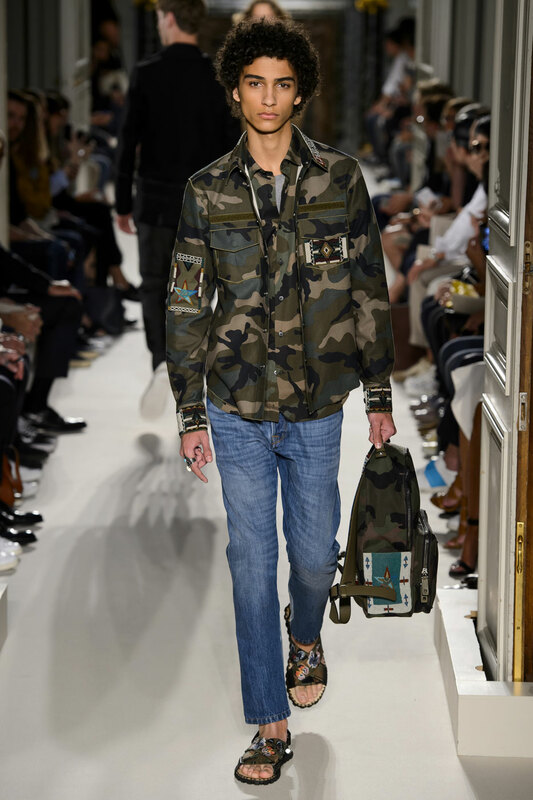 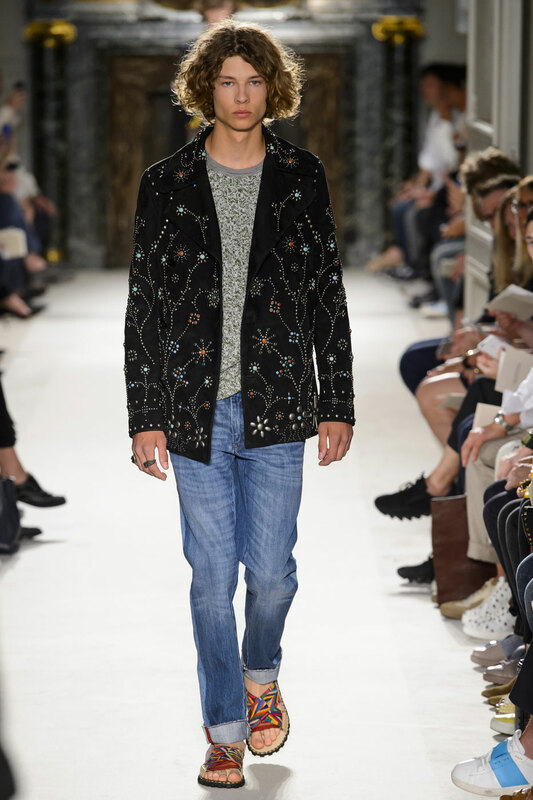 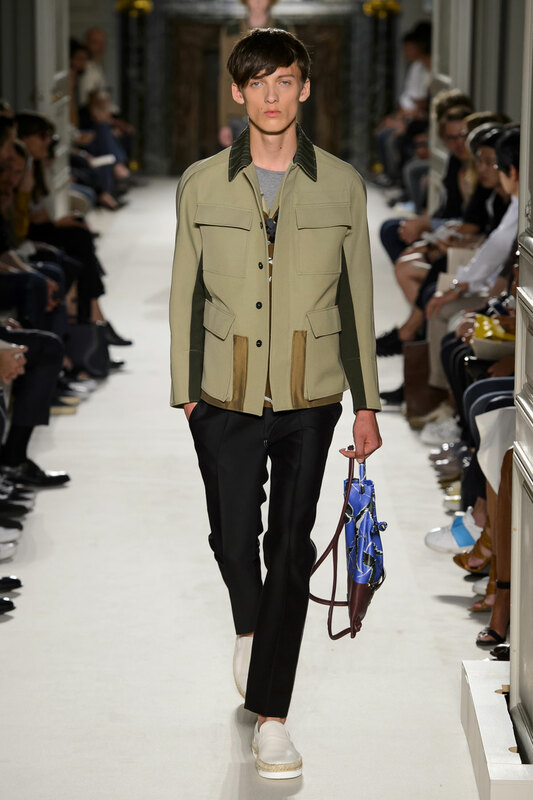 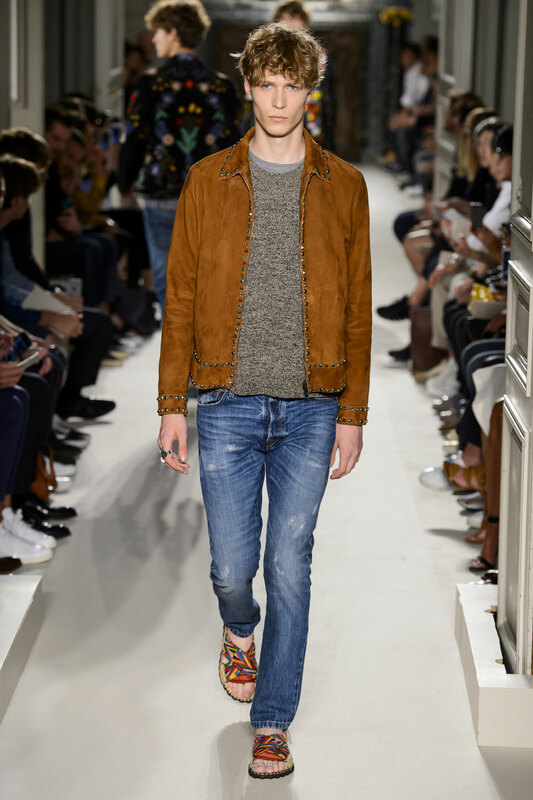 The extent of the prints used also vary with accents of the Aztec print on sleeve details or shoes to larger Aztec and camouflage print covering entire jackets. 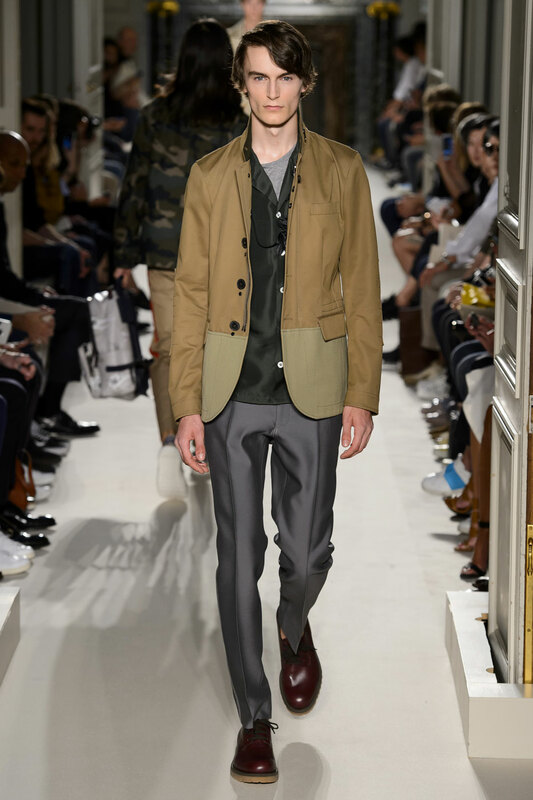 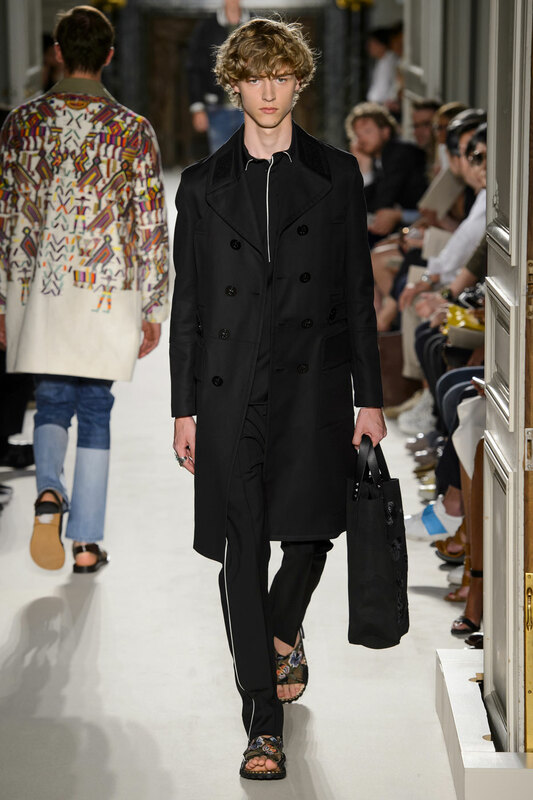 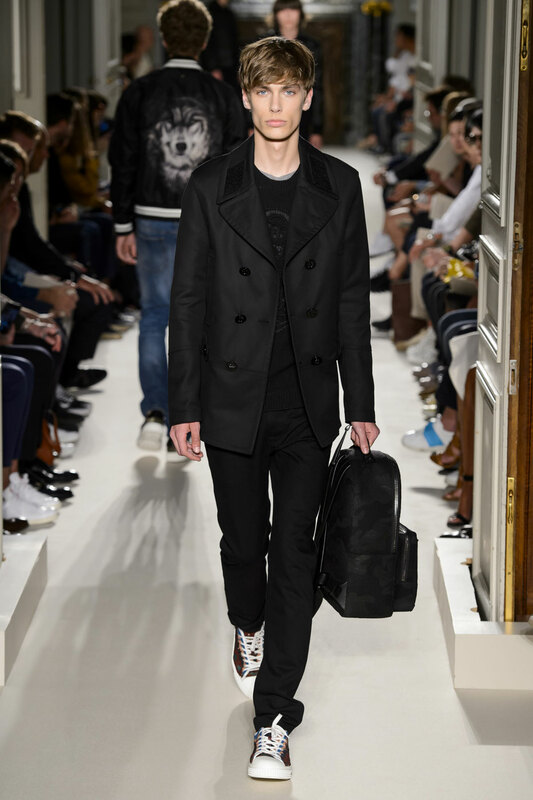 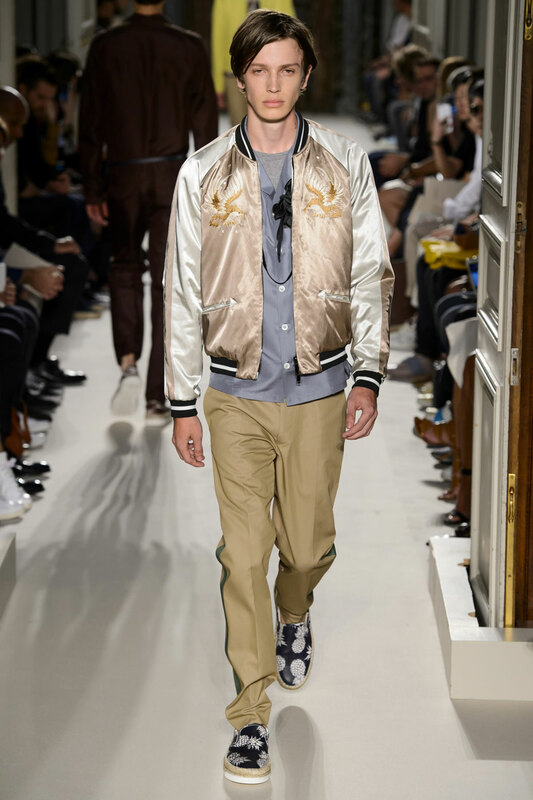 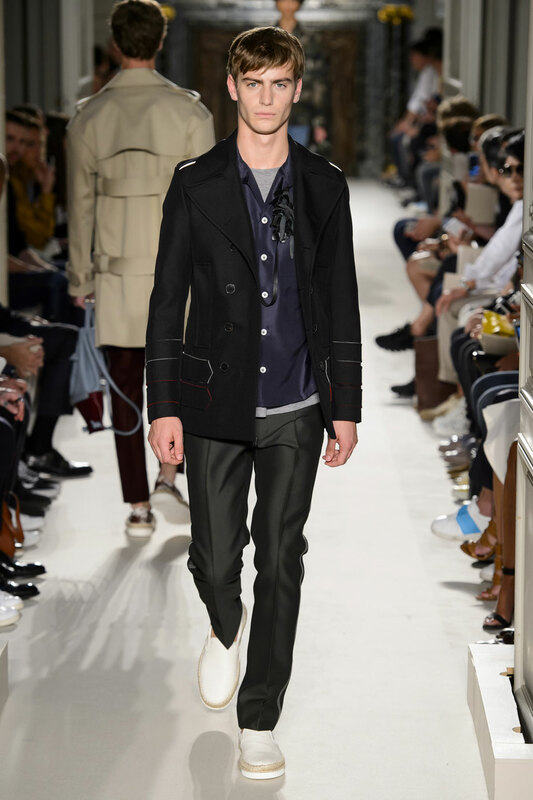 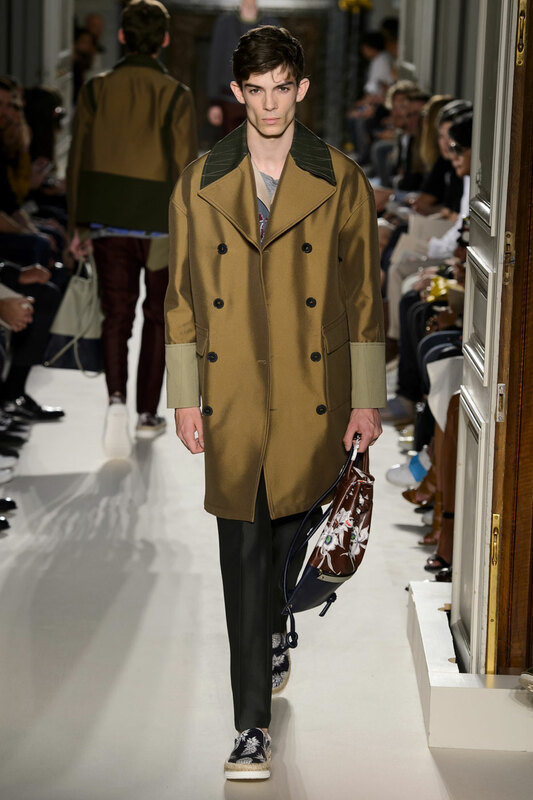 Piccioli and Chiuri include the continual usage of jackets throughout the show, with most of the 52 looks styled with a different form of jacket. 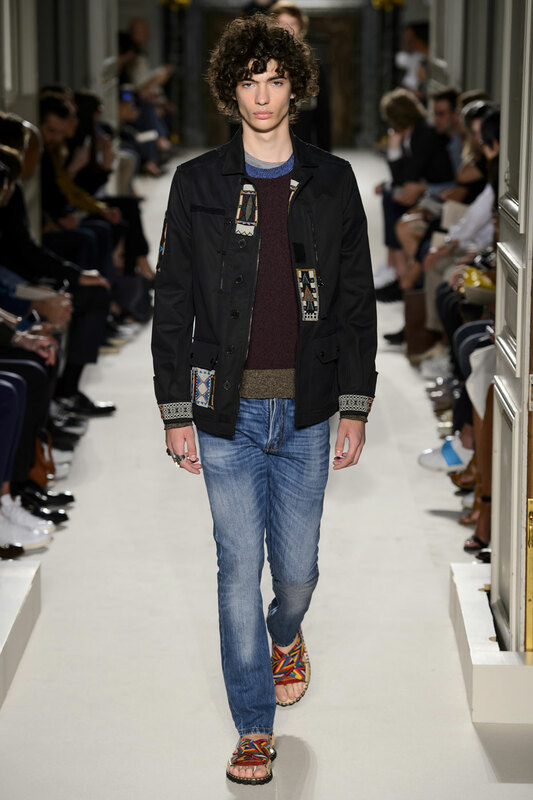 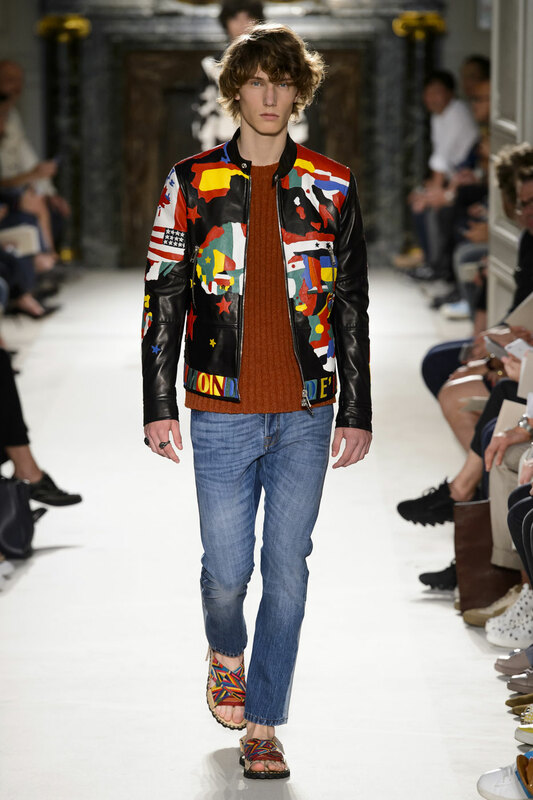 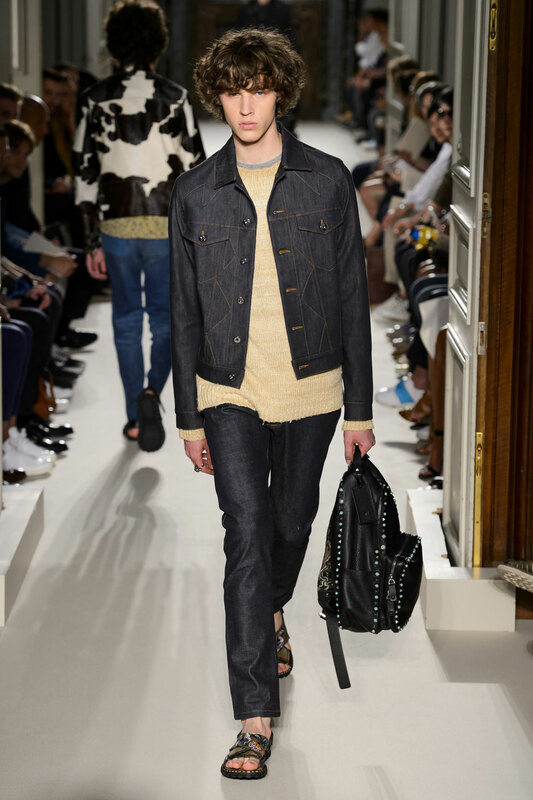 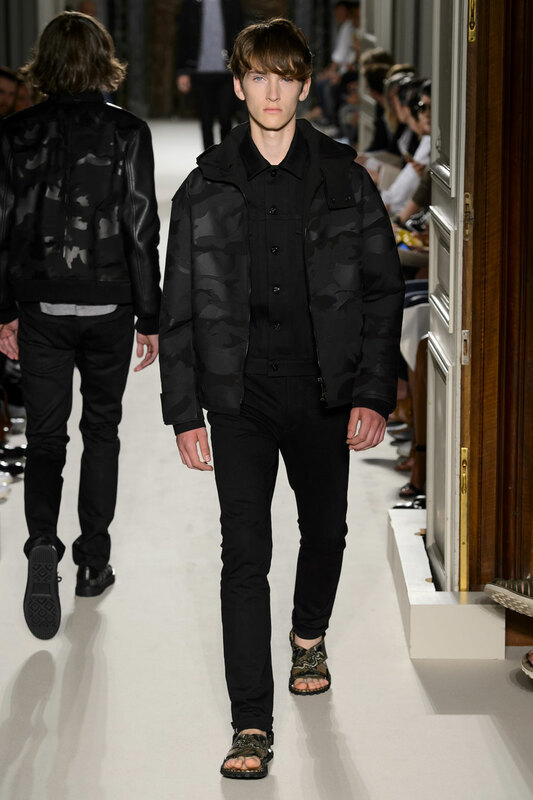 The collection includes flight jackets, leather jackets, denim jackets and military jackets, just to highlight a few. 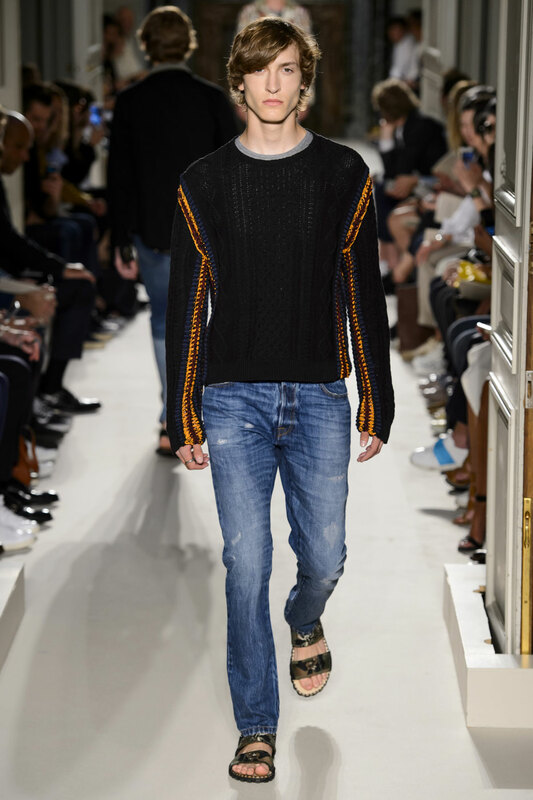 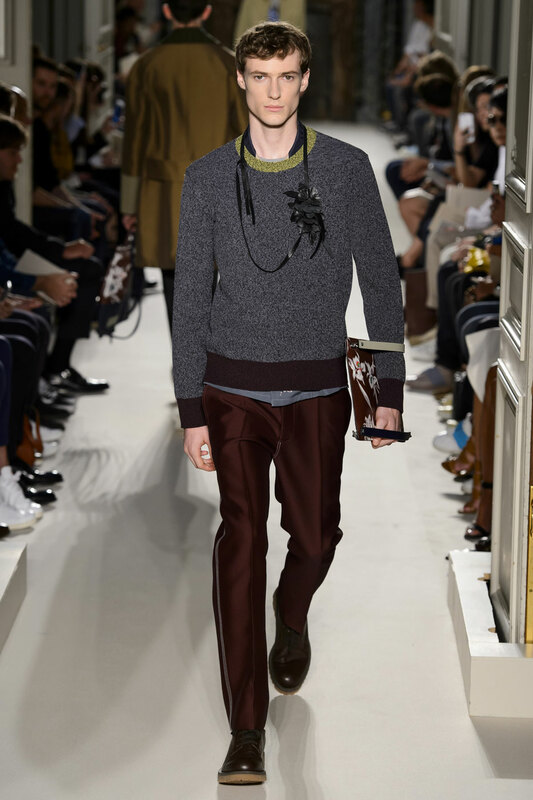 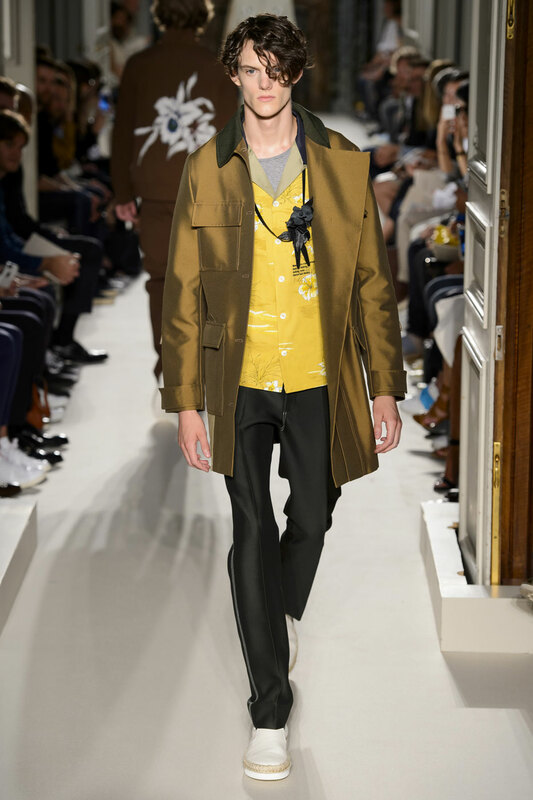 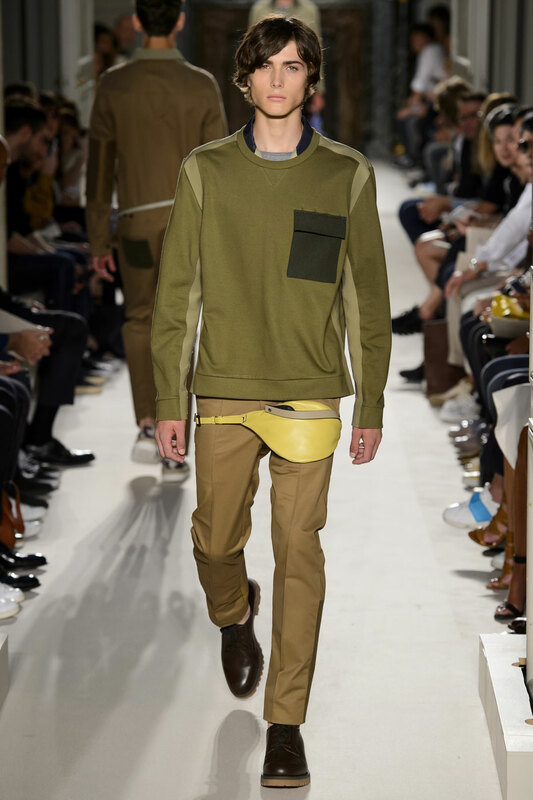 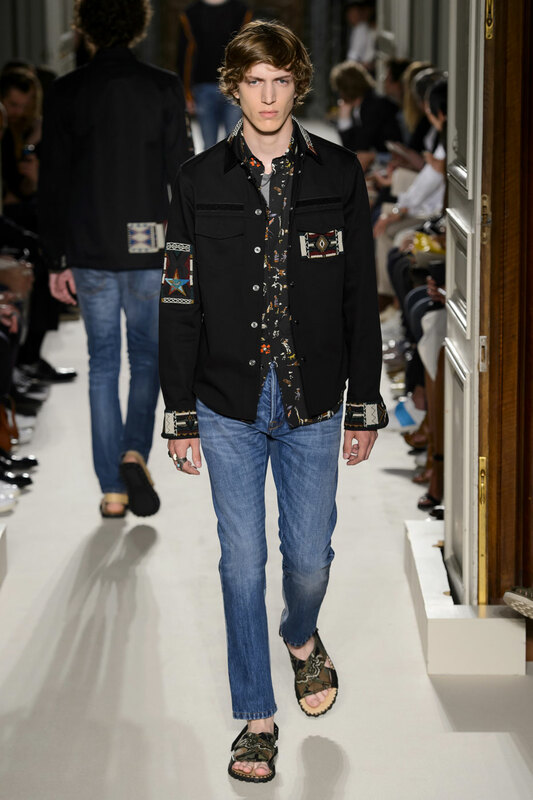 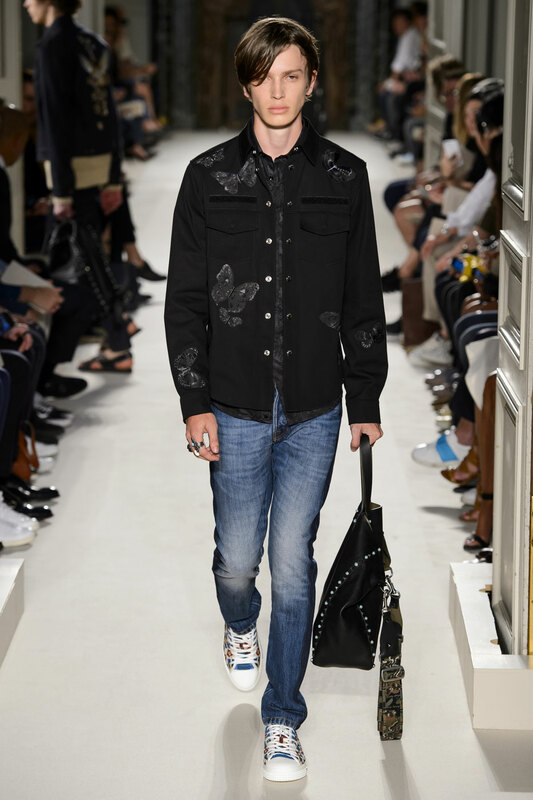 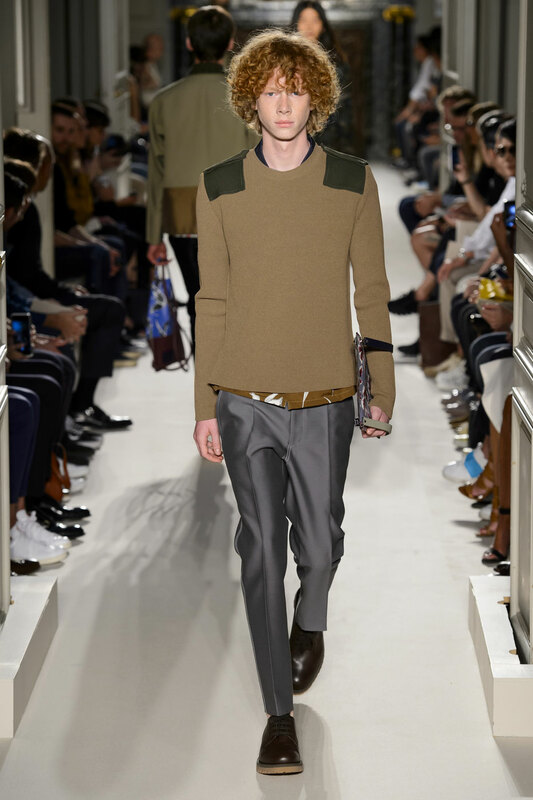 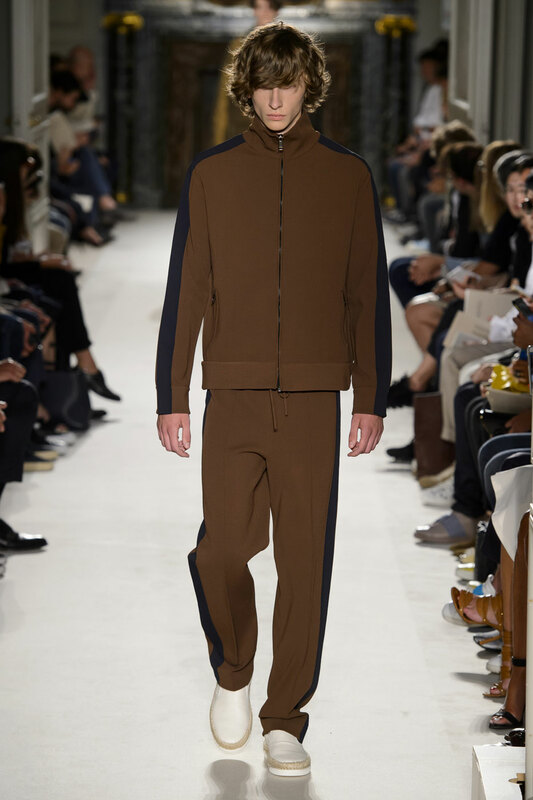 The collection predominantly uses relatively fitted pieces and straight legged trousers and jeans, which contribute to the collection being extremely wearable.